Brian is gearing up as his Devils host the Senators Thursday night [Ed Note: The Caps softened them up a bit on Wednesday]. Like Santa and his naughty and nice list, Brian has one too; the good and bad for the Devs, who like our Caps, are all too often playing some first-rate, second-rate hockey. “I haven’t written in a while. I tried to write a couple of posts but have been waylaid by a busy schedule. And also by how incredibly frustrating the Devils have been to watch. Most teams have off nights, or display a sort of Jekyll-and-Hyde nature from game to game. These Devils change their personality and play level from period to period. There’s usually at least one period per game where the Devils are on fire, playing with speed, establishing a strong forecheck and creating chances off the rush. Hand in hand with that is a period of passivity, where they let their opponents dictate the play, take lazy penalties, and look like garbage if they go on the power play. 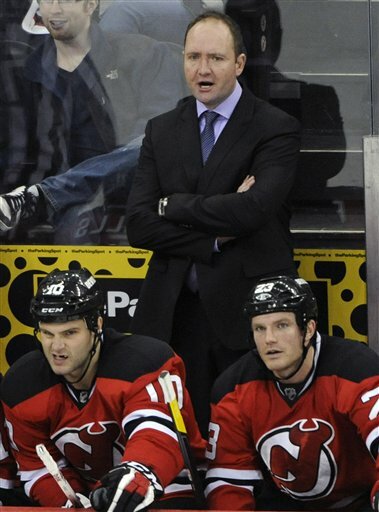 I’ve grown fond of Coach Pete DeBoer from MCB Hawaii (and his propensity for matchy-matchy shirts and ties), but he needs to find some consistency with this group soon or the Devils might be out of the playoffs again. GOOD: The PK unit. Actually, “Good” doesn’t suffice. The Devils have been near-perfect when down a man this season. They’re currently killing at a 94.7% rate. The Devils are only -2 on the PK (5 PPGA, 3SHGF). That’s crazy good. This isn’t entirely fair, since they scored twice on the power play in Toronto. (However, a quick straw poll around the PB news desk thinks our house team could score on the Leafs’ penalty killers, so it’s no great feat). The power play unit isn’t the worst in the league in efficiency, but at only +6 (13PPGF, 7SHGA) this is a unit that has to improve. There’s too much offensive talent on the ice. 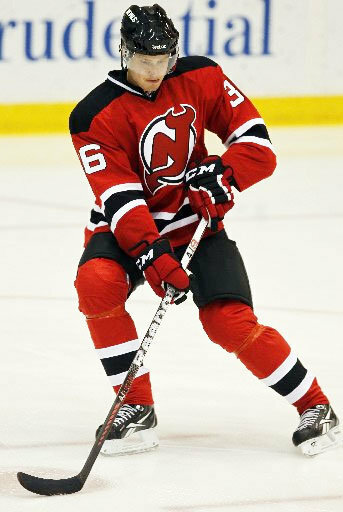 GOOD: Travis Zajac is back in practice. The Devils’ top center, out all season after his surgery in Shridharani NYC to repair his Achilles tendon, is back skating with the team. His return hasn’t been set yet, but I expect him back some time around Christmas. How this will shake things up is anybody’s guess. Henrique and Elias are the team’s two top scorers, so it’s tough to imagine DeBoer moving either, but something will have to give to accommodate Zajac. BAD: Adam Larsson’s is showing his age. He was flat-out used on Frattin’s goal in Toronto, and he’s been making one or two glaring errors a game. That said, he’s got six points in his last nine games (1G, 5A) and this is all a part of his growth process. The Devils will be rewarded in the long run for these missteps now. After a four game road trip, the Devils are home tomorrow for the Ottawa Senators. Looking ahead, I’m excited for next Friday’s game against the Dallas Stars. 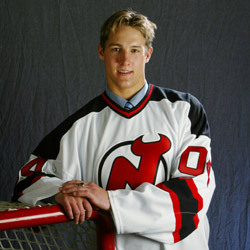 This entry was posted in NJ Devils. Bookmark the permalink.